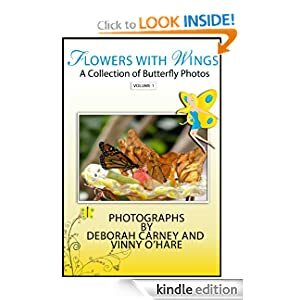 Buy Flowers With Wings from Amazon.com from now until October 31, 2013, email your confirmation email from Amazon (minus any reference to your credit card) to dc@nightfirepublications.com and you will receive your choice of pdf or mobi (Kindle format) of Fun Funky Butterfly Art book for free via email. Two awesome butterfly books for the price of one! But hurry, this offer will last for a limited time. 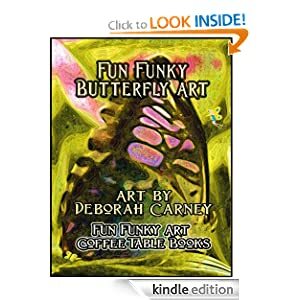 Like the title says, fun and funky butterfly art by digital artist Deborah Carney. Created just to make you smile.